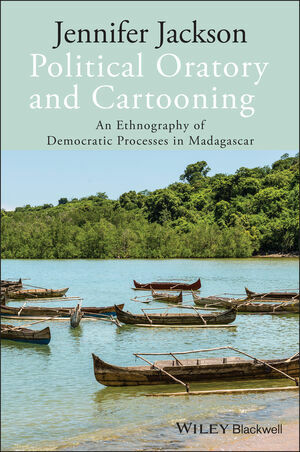 Jackson traces the lively skirmishes between Madagascar’s political cartoonists and politicians whose cartooning and public oratory reveal an ever-shifting barometer of democracy in the island nation. Jennifer Jackson is Assistant Professor in the Anthropology Department at the University of California, Los Angeles. Since 1994, her research has focused on Madagascar and the US, spanning studies in semiotics, language ideologies and aesthetics, and verbal and visual artistic performance in political practice related to the formation of democracy, civil society and statehood.